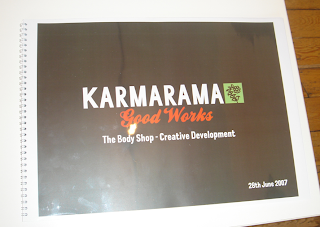 It was pitching time at Karma Towers today with the lovely people from The Body Shop paying us a visit. 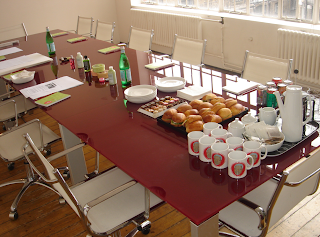 Who can say if we’ll win through or not – it is now in the laps of the temperamental pitch-gods, but one thing’s for sure, the catering was top drawer. The book of the pitch looked smart and snaz. 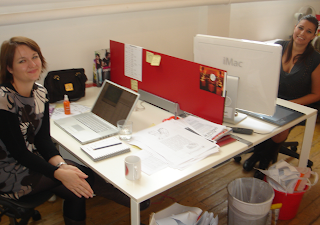 And the glamourous team responsible, Gina and Sarah were, well, just plain glamourous that’s what.